As powerful as a corded vacuum 32V Lithium battery delivers a powerful 45 minute runtime. Vax DIRECT HELIX TECHNOLOGYprovides optimum performance in anycleaning orientation. Boost mode will instantly increase powerat the touch of a button. 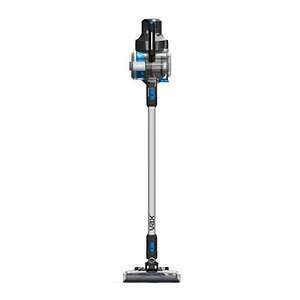 Has this an electric motorised brush (like Dyson V6) or is it just air-driven? Has this an electric motorised brush (like Dyson V6) or is it just …Has this an electric motorised brush (like Dyson V6) or is it just air-driven? This has an electric powered brush,and damn good it is to. Do you have any problems with yours? No never had this problem at least not up to now only had it for 5 months. I've got one, it's useless.